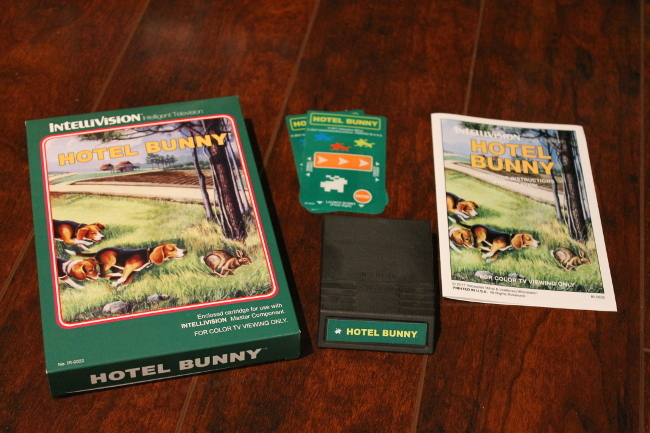 Hotel Bunny has the player try to get several of the nine rabbits safely to the titulary hotel, located past a trial of up to three angry dogs. 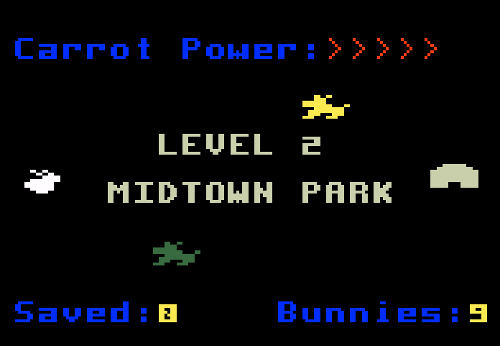 Controls: Press right on the controller disc to get the bunny hopping towards the hotel. 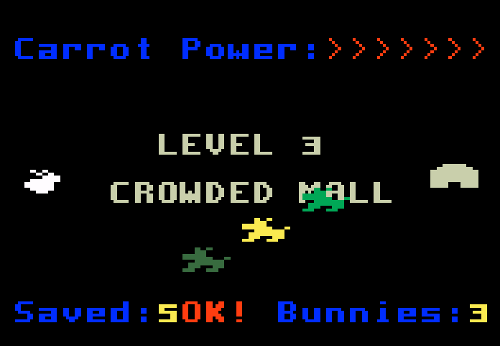 Press a top/bottom button to use carrot power. To be successful, you must time the bunny's start well, and use your carrot power wisely. 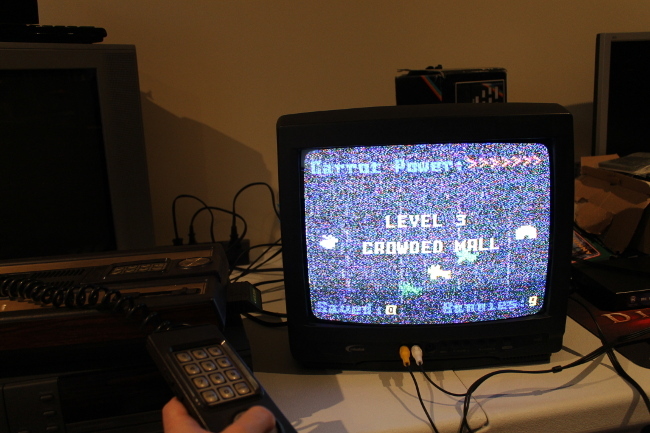 I've developed this Intellivision homebrew using IntyBasic. It's a friendly BASIC flavour which can be clunky at times. 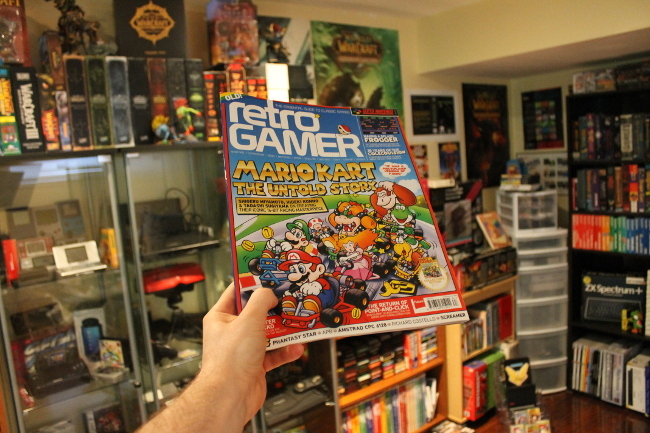 However, I found it acceptable for very simple games, such as this one! 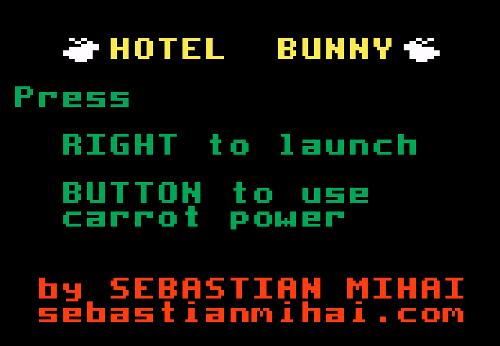 Dev kit with ready-to-compile source code for Hotel Bunny - get this if you wish to compile the Hotel Bunny ROM yourself, or if you'd like to develop your own games using this as a starting point! Tested in Windows XP. Everything needed to compile the ROM is included. 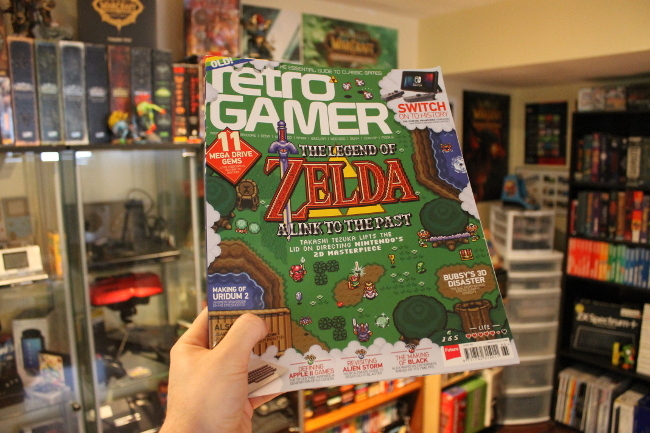 The idea for the game came from real life. During an exceptionally harsh winter a few years ago, a rabbit settled near our house. 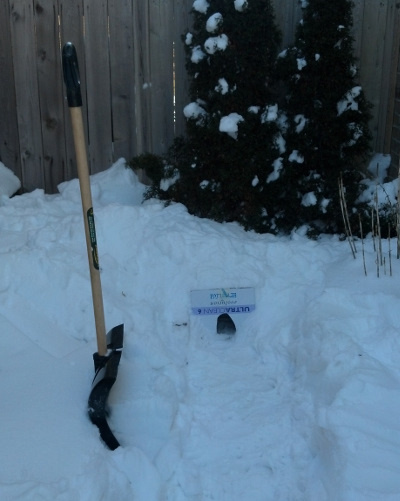 To keep him warm, I built him a small den from a shipping box on top of which I piled snow. Since he was to reside there only temporarily, I named his den "Hotel Bunny". 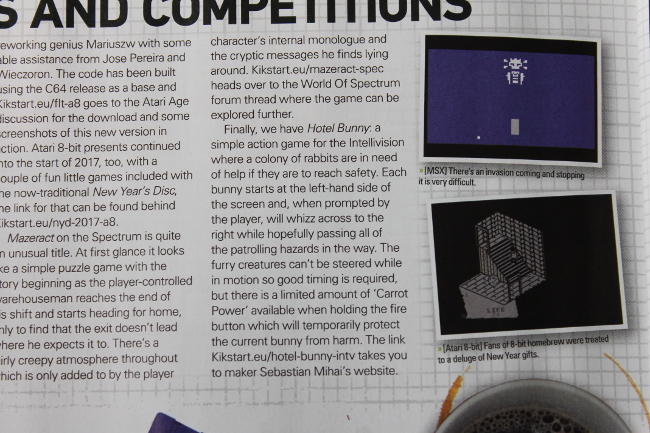 Hotel Bunny has been produced on physical cartridge, including a beautiful box and manual! 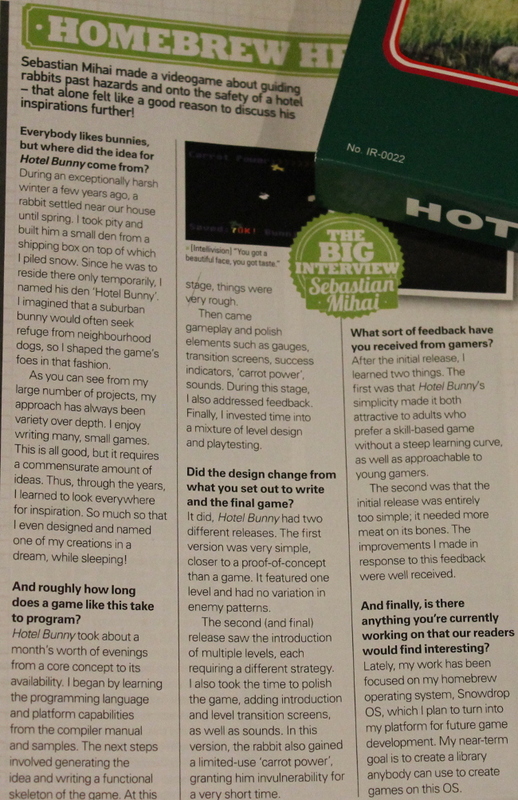 Hotel Bunny seemed interesting enough to Retro Gamer, that they asked for an interview! 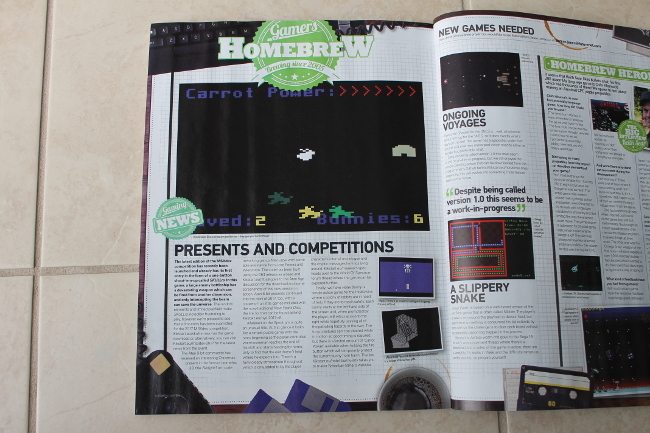 The great people at the Retro Gamer magazine (in Britain) have included a Hotel Bunny screenshot at the beginning of the Homebrew Games section, as well as a small write-up about the game! 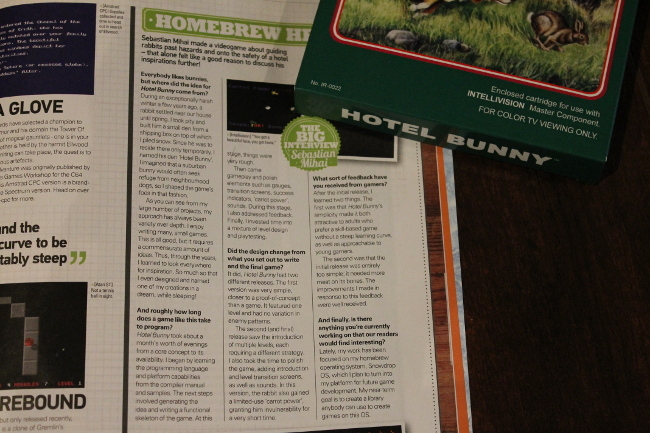 Here is Hotel Bunny running on my Intellivision console. Unfortunately, the RF modulator is no longer a spring chicken, resulting in severe interference on screen. It looks worse in the photo than when playing it.